Library time is Wednesdays last block. We have a lovely senior who comes and reads us stories. Then she helps us find the books we would like to take home. 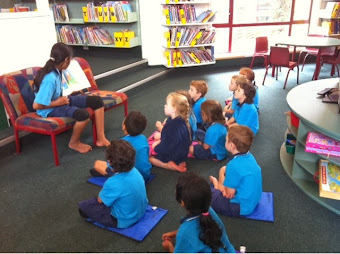 We are all so quiet in the library and love reading books.